Tales of sexism, sexual harassment, and sexual assault are bubbling angrily through the wires. In late 2017, the media attention to this perpetual ill and the harrowing #metoo stories sparked us to share our own computational tale of fiction that we humbly hope can participate in this dialogue. The computer as a medium offers a unique expressive palette for storytellers. We can build models of crucial and moving issues in our world. 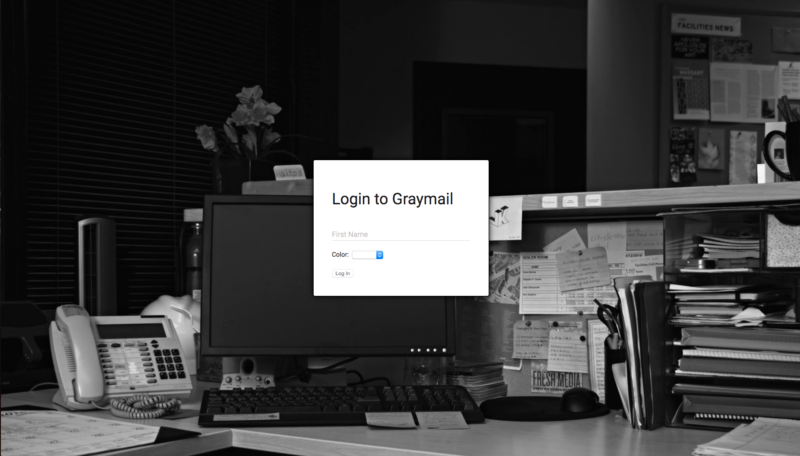 As a step toward this aim as it relates to sexism, we are announcing the launch of our interactive narrative called Grayscale. The experience is intended to provoke players to reflect critically on sexism in the workplace, both overt and hostile and more subtle. 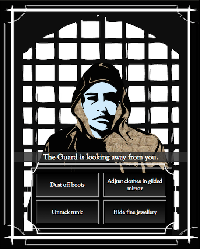 “Chimeria:Gatekeeper” is a playable interactive conversational scenario, authored using the Chimeria Platform It uses a cognitive science-grounded model of social category membership to customize how conversational narratives unfold. Conversations between characters are important aspects of many videogames. However, most such conversational interactions in videogames are quite limited in how they take into account the identities of those characters. Conversation in videogames typically varies, if at all, based only on one aspect of the character such as an NPC referring to the character by race, class, or a gendered pronoun. Chimeria: Gatekeeper is an application of the Chimeria Platform, which seeks to developing conversational narratives that addresses such limitations. We present an approach for automated evaluation and generation of videogames made with PuzzleScript, a description-based scripting language for authoring games, which was created by game designer Stephen Lavelle. We have developed a system that automatically discovers solutions for a multitude of videogames that each possess different game mechanics, rules, level designs, and win conditions. This was achieved by developing a set of general ruleset heuristics to assess the playability of a game based on its game mechanics. From the results of our approach, we showcase that a description-based language enables the development of general methods for automatically evaluating games authored with it. Additionally, we illustrate how an evolutionary approach can be used together with these methods to to automatically design alternate or novel game mechanics for authored games. Online social networks and video games are prevalent in today’s society, and using both video game characters and social networking profiles cam potentially be used to help people better understand others’ experiences, delivering meaningful experiences which enable critical reflection upon one’s identity, and on others’ experiences related to identity. However, merely customizing graphical representations and text fields are insufficient to convey the richness of our real world identities.